Roy D Hacksaw wrote: The coach driver must have had a mare getting to the ground as, even with my crutch, I managed to get to the clubhouse and order a pint before the you lot were off the coach. We had to wait for a steward to hobble up the road and unlock the height gate! It wasn't the Wembley Arch then! Colin Voutt wrote: Certainly, Batten & Rigg need to feature far more. Jack Batten's started 22 out of 30 matches in all competitions this season which isn't a bad return. I think he missed a couple because of injury and was rested for Cheddar. But thought he should have at least been in the squad yesterday. Any reaction from JG to Hendon game? Looked forward to GO quotes on Sundays in Chronicle site. Now it's midweek at best. What's changed? I sent it over on Sunday so not sure what’s happened. 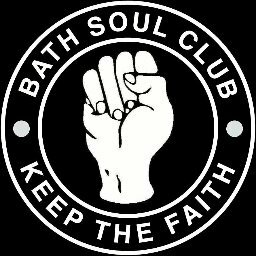 An audio version of the aftermatch thoughts are always on the Bath City Internet Radio SoundCloud page. JG's comments on the Chronicle site now. Pleasingly honest about shortcomings, fairly blunt view on defensive lapse from Dan Ball, but not sure about the bit where we bossed it for 20 mins. Anyway he expects a battle on Saturday. That we can all agree on. The footage makes the floodlights look a lot better than they seemed on the day......and that's in no way an excuse for a poor City performance.